Although it would have been pretty hard to escape your notice, being such a huge event, this weekend we celebrated an amazing sixty years of Queen Elizabeth II’s reign. The Queen’s Diamond Jubilee celebrations took part all over the UK and beyond, from Saturday 2nd to Tuesday 5th June 2012. The BBC broadcasted the events worldwide, for anyone who was interested! It must be said that the royal family are not always everyone’s cup of tea - you will always be able to find someone who will grumble about the cost to the UK taxpayer. However this weekend, the sense of unity and British pride was overwhelming. Everyone came together to celebrate our Queen, our royal family, our sense of tradition, our historic capital city London, our community spirit… along with everything else that makes us British! Here on the Isle of Wight , excited by the prospect of a long weekend and the chance to celebrate with the community of islanders (and tourists too of course!) preparations started quite a long time ago. One of the first community events to be announced by the council, was the Queen’s Diamond Jubilee at Appley. This was one of the largest free entry celebrations on the island, with activities taking place from Saturday to Monday, including a street processions; stalls, traditional games and deck chairs galore; a stage hosting live acts and a big screen to show coverage of the Queen herself; street entertainers; the ‘Big Lunch’; evening entertainment and music… the list goes on! On Monday evening, Appley Beach promenade became host to one of the many beacons lit across the UK and the commonwealth, followed by a fireworks display. We enjoyed spending some time at Appley (in Ryde) on Saturday, taking some photos. Elsewhere on the Isle of Wight, a few neighbourhoods held their own street parties, as well as villages and towns hosting their own celebrations on the village green and in parks. A special Diamond Day and a Jolly Good Bash were organised in Freshwater, West Wight. The Royal Hotel held a Royal Jubilee Garden Party, the Owl & Monkey Haven gave their gibbons a Royal afternoon-tea each day. 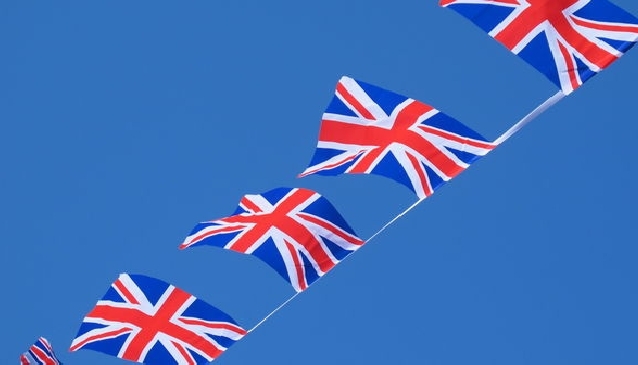 Isle of Wight Radio hosted the Jubilee Garden Party – a large, live music event in Cowes. So, Congratulations and thank you to HRM The Queen, for sixty years of dedication. We look forward to celebrating seventy years with you! Mmm, sixty years is Diamond… what is seventy?! Enjoy an egg-cellent time on our English island! The island encourages Isle of Wight entries with their own mini competition! Find out what we are most looking forward to in the New Year!